Can you feel it? That tingling sensation in your toes perhaps? Yes, the andrenaline in your body is steadily rising as you realize the LucasArts Entertainment Company is preparing to ship out its numerous computer games to stores around the globe in anticipation of the Mass of Christ for 2001. A new trailer for Starfighter: Special Edition on X-Box. Transcript for the recent online chat with the ever-glib Star Wars Galaxies developers. A new screenshot of the week featuring Rogue Leader: Rogue Squadron II, as well as a peek at the Gamecube cover-art for the game. Answer(s) to the question: "Are Expansions planned for Galactic Battlegrounds?" in the 'Ask Team' section. And a new poll asking: "'Who do you think possesses the greatest lightsaber skills?" So far, Darth Maul is in lead. Haden Blackmen, Producer for Star Wars Galaxies, will be speaking at the 2001 Leading Edge Technology Conference in UC Berkley. Blackmen, along with Jason Bell from Infogrames, Scott Liles from Accenture and the legendary Will Wright (creator of The Sims, The Sims II, SimsOnline and SimCity) are all part of a panel who will be discussing where the real growth is in the expanding industry of video games this Saturday, the 22nd of September. Rather an egotistical assumption since the geniuses behind Team Fortress 2, Unreal 2 and numerous other computer games are conviently excluded. 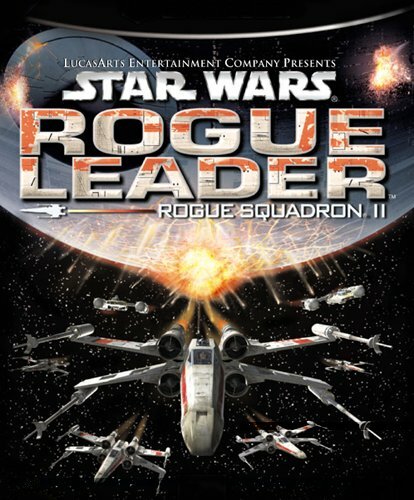 And finally, the entirely new Rogue Leader website is up and running at LucasArts.Com. Have a look at it here.